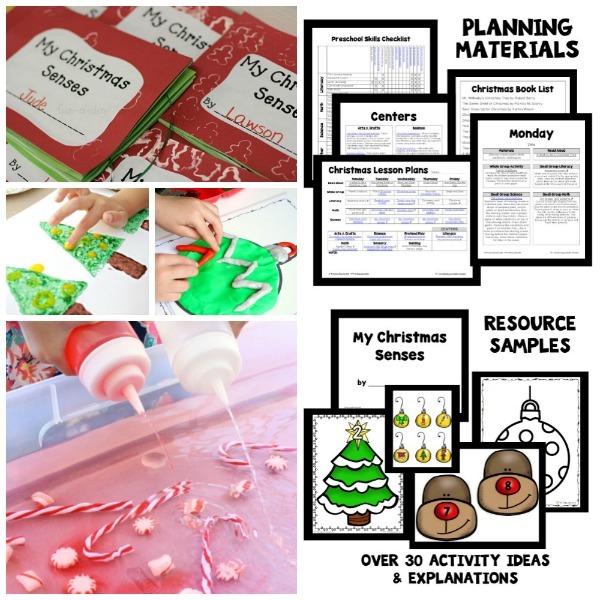 Today we’re back for more Christmas Play Days inspiration. This week I’m joining Play Trains!, Buggy and Buddy, My Nearest and Dearest, Nothing if Not Intentional, and Fun-A-Day! to bring you Christmas related play ideas. Since we first tried it last year, the girls have often asked to paint with pom poms. 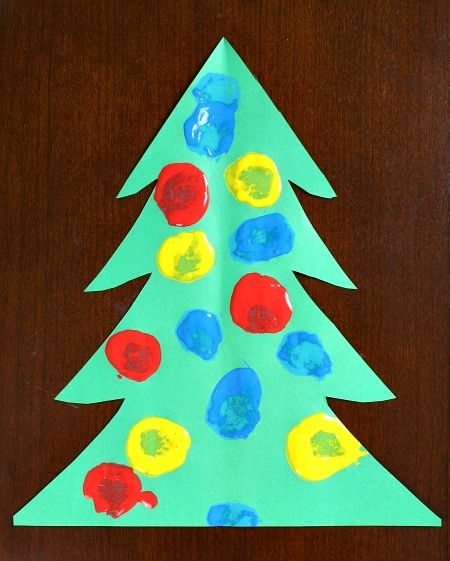 I knew they would both like painting a Christmas tree craft using this technique, but it is especially great for toddlers. Paper cut into the shape of a Christmas tree. We used colored copy paper, but a heavier card stock or light cardboard may have been a better choice. Pom Poms-You can choose to match the color to the paint to add in some color matching practice and help little ones remember where to put their pom pom brushes. Both of the girls decorated their Christmas trees. It might have been fun to make an even larger version on a big piece of cardboard, but they were very happy with their little Christmas trees. 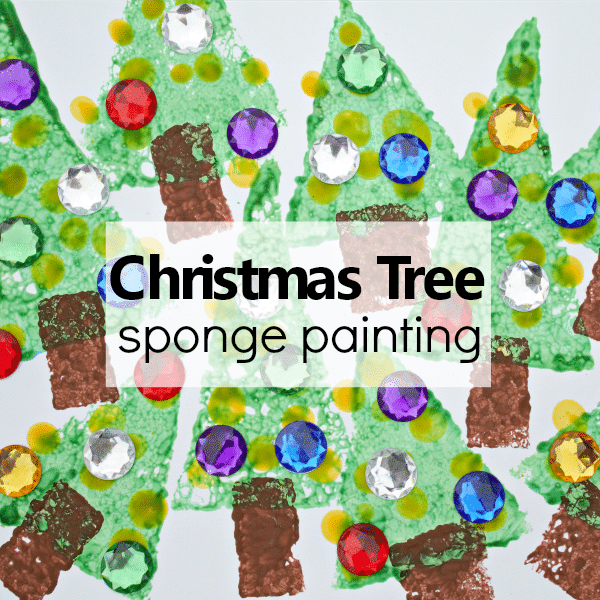 If you’re little one loves to paint, try our sponge painting Christmas tree art too. I love the pom pom idea – my twins will adore doing this! This is such a FUN idea for Christmas Play!! Love the creative way to paint!! Thanks for sharing your creativity with us at TGIF. 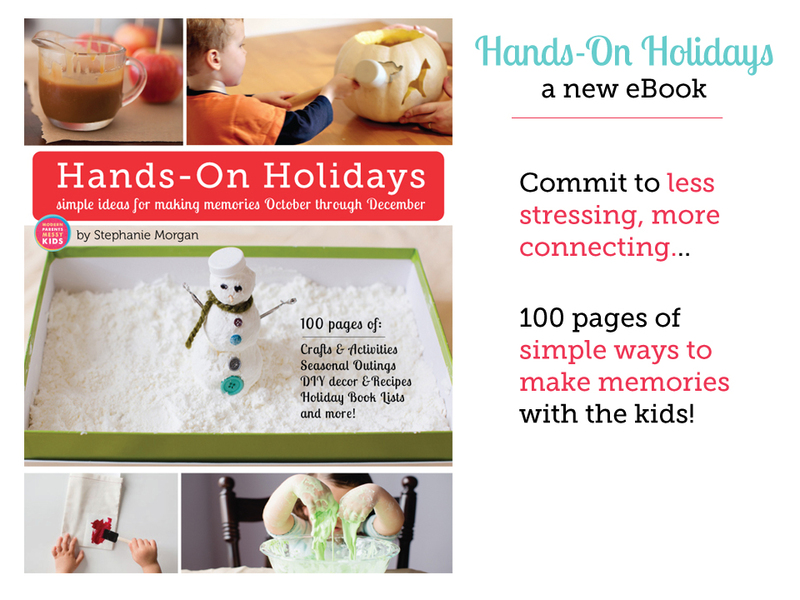 I featured it today here – http://www.123homeschool4me.com/2013/12/tgif-linky-party-105.html. Oh this is super cute! I love how the pom pom matches the paint colors. 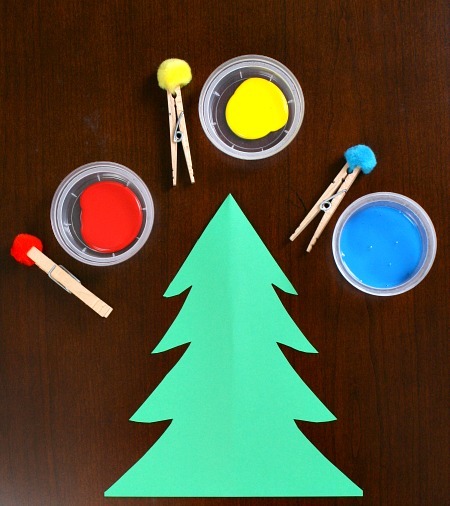 What a fun idea for some Christmas painting! I think it would be so fun to paint the ornaments on with those colorful pompoms — great idea! What a cute idea! I bet you my two year old would love this! Thanks for sharing! 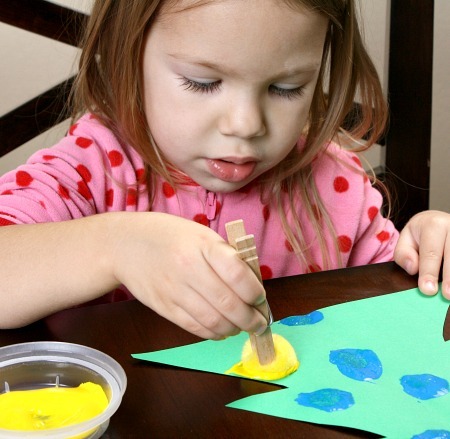 Beautifully simple art project for the little ones! 🙂 Love it. This is such a creative and simple invitation to create (and learn)! 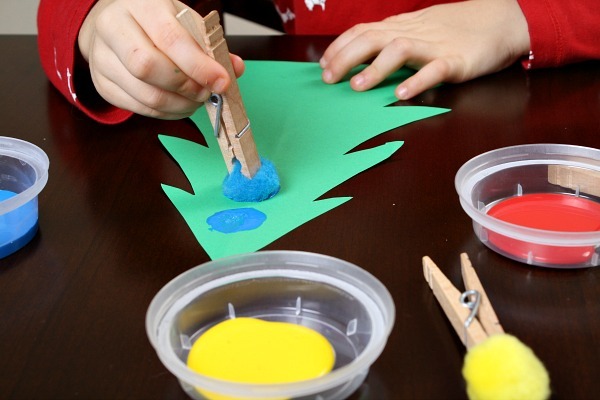 My Sammy would love it as it uses his 3 most favourite things – pom pom, clothes pins, and paint! He’d get along with my girls very well!